Detailing the physical features, habits, territorial reach and other identifying qualities of the Ichneumon Wasp - Orgichneumon. Small and charming to look at, Orgichneumon calcatorious is an understudied wasp that loves the woods. 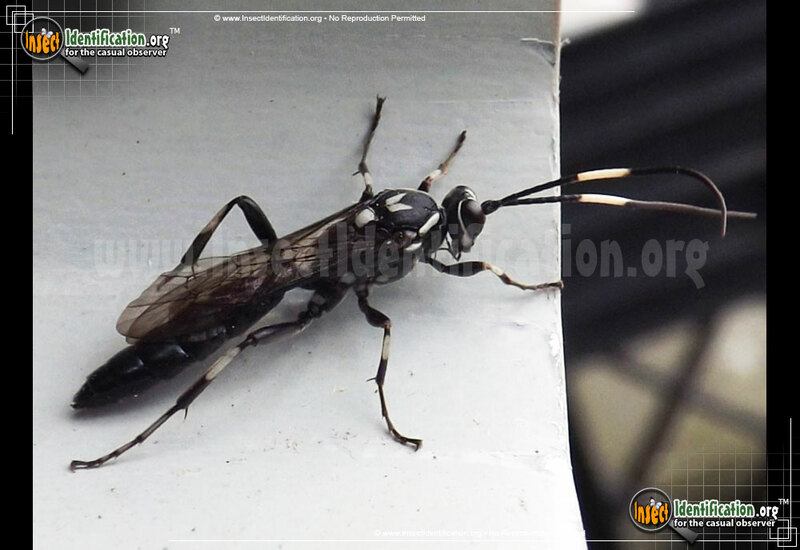 Diminutive, but still capable of stinging, the hardly noticed wasp called Orgichneumon calcatorious is black with white accents. On the thorax, two symmetrical white marks point toward the head. These are missing in some individuals, but all have a white dot just above the waist. 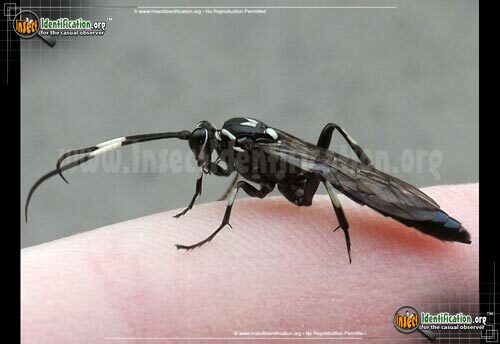 Antennae are black with a thick white band in the middle of them. Legs are also banded in black and white. Beyond their affinity for tree bark, where females are believed to overwinter, little is known about this species.